The west portion of this house, which was built in the 1870s, is the original Tanner Home. 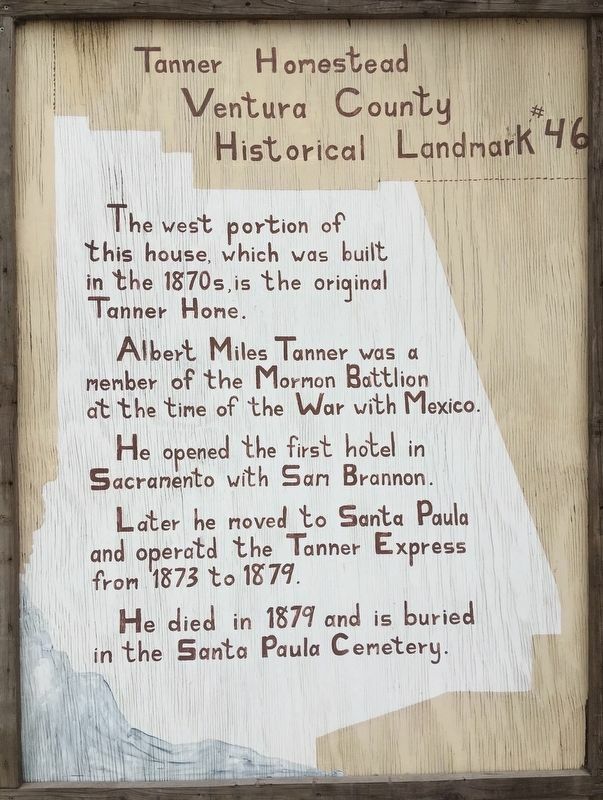 Albert Miles Tanner was a member of the Mormon Battalion at the time of the War with Mexico. He opened the first hotel in Sacramento with Sam Brannon. Later he moved to Santa Paula and operated the Tanner Express from 1873 to 1879. He died in 1879 and is buried in the Santa Paula Cemetery. Location. 34° 21.857′ N, 119° 2.197′ W. Marker is near Santa Paula, California, in Ventura County. Marker is on East Telegraph Road (California Route 126) 1.6 miles east of California Route 150, on the right when traveling east. Touch for map. 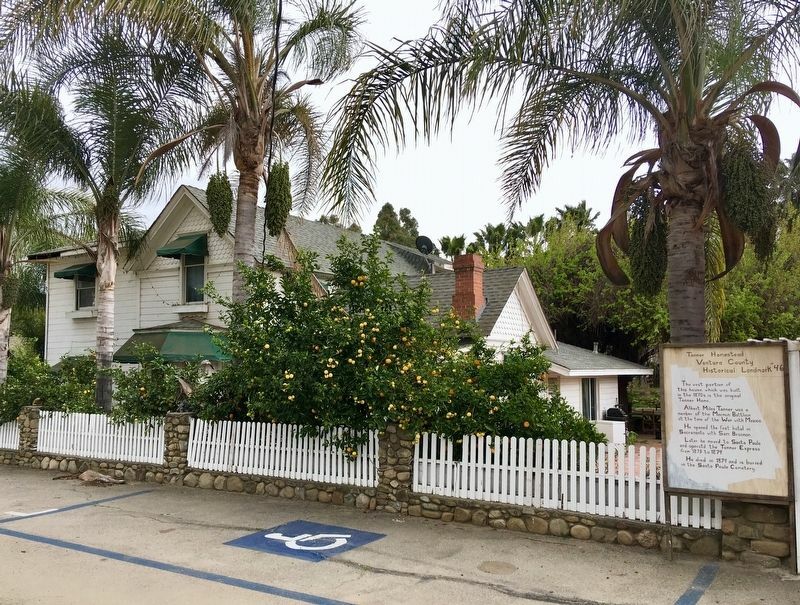 Marker is at or near this postal address: 18492 E Telegraph Road, Santa Paula CA 93060, United States of America. Touch for directions. (was approx. 1½ miles away but has been reported missing. ); The Ebell Club (approx. 1.9 miles away); Santa Clara Schoolhouse (approx. 2.3 miles away); St. Francis Dam Disaster (approx. 2.6 miles away); Faulkner House (approx. 4.8 miles away). Touch for a list and map of all markers in Santa Paula. More. Search the internet for Tanner Homestead. Credits. This page was last revised on April 8, 2019. 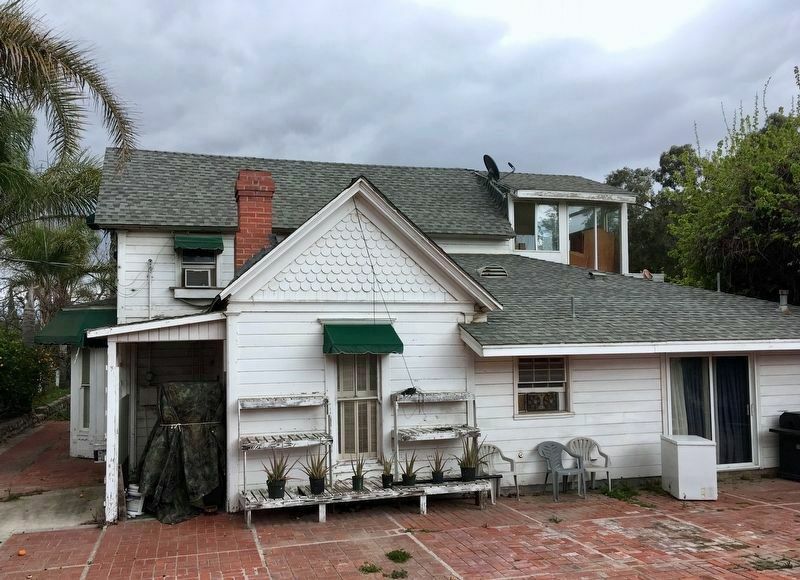 This page originally submitted on April 3, 2019, by Craig Baker of Sylmar, California. This page has been viewed 72 times since then. 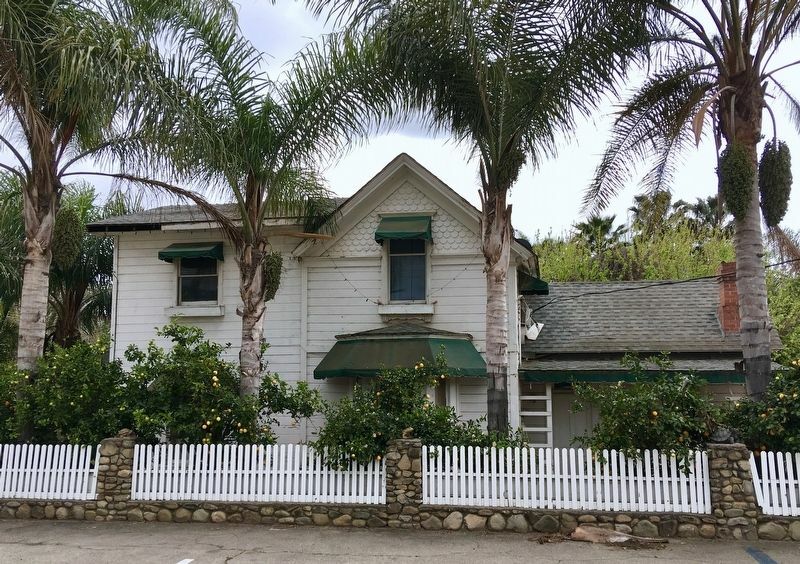 Photos: 1, 2, 3, 4. submitted on April 3, 2019, by Craig Baker of Sylmar, California. • Andrew Ruppenstein was the editor who published this page.